Had to go through Windows 10 Settings -> Lock Screen and set it there, where I found that everything was as it should be. Screen Saver at 1 minute, and turn off screen at 2 minutes. So, I thought, maybe something was up on a browser, so I close Chrome, and have nothing else running, and it still doesn't work. I haven't installed anything new, apart from the recent Windows 10 Update. Unfortunately, I don't have any restore points from before the update either. What else can I try to fix this? If I were you, I would have created a new user account to check if the options missing in the current account are present there, and that the screensaver and screen auto turn off work properly when you're logged in with the new user. Please report back with the results to allow us to help you with a better solution. Is there a way to create a new user without making a new Microsoft account, like in Windows 7? Not a big deal if I have to, but prefer not to if I don't have to. > Right-click the Start button. > Go to Computer Management. > Expand the Local Users and Groups tree. > Right-click the Users container. > Populate the fields as needed. > Click Create from the bottom of the box. > Right-click the newly created user. > Go to the Member Of tab. > In the available field, type Administrators. > Once the group name is verified, click OK.
> Click OK on all the other boxes. > Log off from the current user and log back in with the new one and continue using your computer. After doing a live stream last night, I unplugged all the peripherals connected to the laptop (Microphone, Keyboard, Capture Card, Webcam, TV for second screen), I've not made any new user accounts for Windows 10, the screen saver and monitor shut off started working again. Just now, I reconnected all of the peripherals again, thinking that it was one of those that may be causing it, and everything's still working as it should again. I don't know why. I'm starting to think there was something screwy going on with OBS at the time (even though it wasn't running). 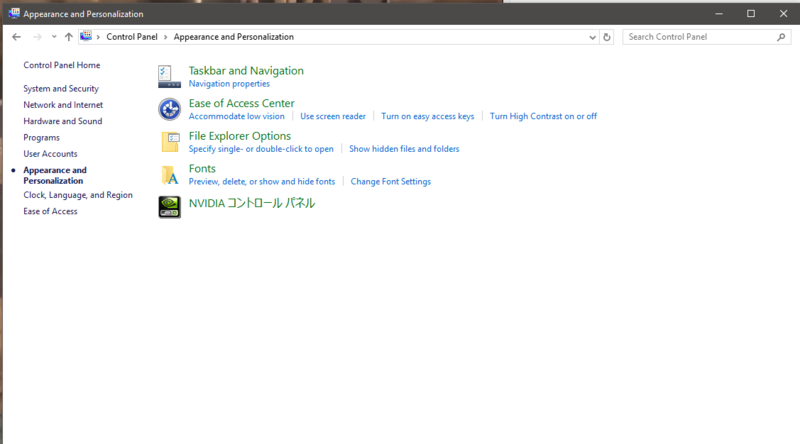 But, it still doesn't explain the missing option under the "Personalization" for the Control Panel. I just opened and closed OBS again, with all the peripherals connected, and the screen saver + screen shut off are still working properly. So, yeah, no idea what's going on. Even weirder, is that I did remove all the peripherals yesterday afternoon, and the screensaver didn't trigger at all. Question Updating my PC from 2700k to 9700k so a total mobo, ram and CPU change; do I need to perform a clean install of windows? Something is triggering a browser to open on startup and I don't know what.